Tmart are a brand that I've never heard of, that was until they contacted me before Christmas that is. Tmart sell practically everything from toys to palettes, bags and so on at unbelievably cheap prices. And also offer free shipping. I was sent the 12pcs Exquisite Makeup Brush set that retails for just £6.89. 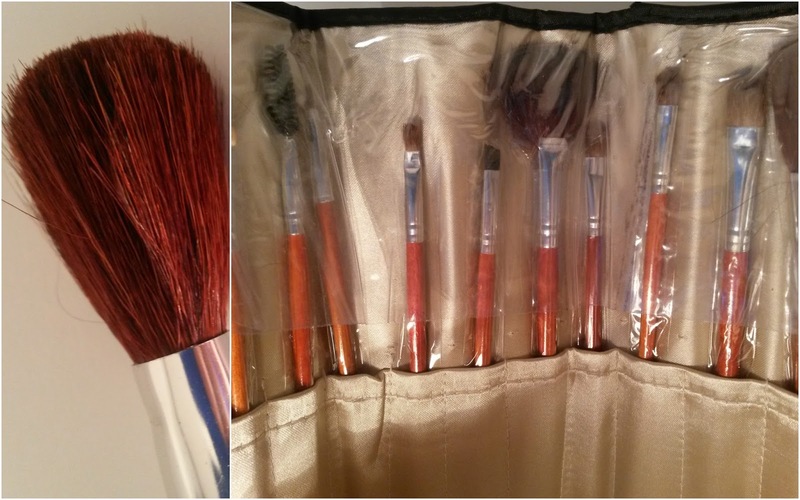 The makeup brushes come houses in a cosmetic bag. The cosmetic bag the brushes come in have little holders and is compact and light making it easy for travel. The bag it's self is quite stylish with on-trend animal print and yellow roses. Inside the bag are a power brush, lose powder brush, fan brush, eyeliner brush, eyelash brush, sponge brush, eyebrow comb, 3 eyeshadow brushes, a lip brush and a nasal brush. With the 12pc Exquisite Makeup Brush Kit you get quite a lot for your money, especially for just £6.89. In terms of quality you get exactly what you pay for. The bigger brushes are quite soft to touch, my only problem with these is that the hair is prone to fall out and easily does so, which, prevents me from using them. The last thing I want is hairs stuck to my face during application, especially with the likes of foundation and other liquid type makeup. 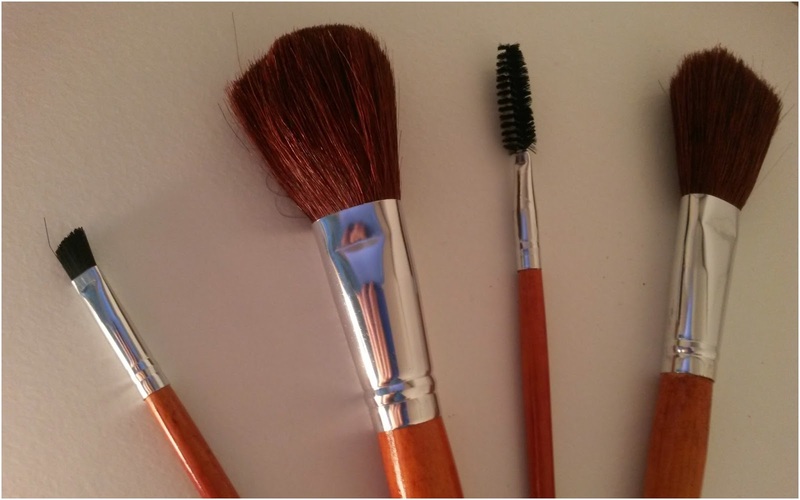 The smaller, eyeshadow brushes are much better and easier to work with. Again, they are quite soft to touch and easily to apply eye makeup. I didn't notice any hair fall out with these, which I'm pleased about. Out of the eye brushes the only brush I had an issue you with is the brows brush. The slant is perfect for creating definition but the the brush it's self is so hard and really quite rough. Overall, for the money, it's a good set to buy alone for the eye brushes. I'm not keen on the bigger brushes due to hair fall out. I think the set is better suited to those who are after a cheaper set, don't wear makeup to often and are just starting out in the makeup department. I find with most cheaper brushes the hairs tend to fall out which is really annoying! At least it doesn't happen with the smaller eye brushes!